There are no assets in your cart. BASF customer Straight Line Customs was awarded the Street Rod of the Year by the Minnesota Street Rod Association (MSRA). The 1948 Austin A40 Dorset Radical Custom Rod Coupe, owned by Steve and Paula Jenkins, was nominated for the award at the Southern Cruzers Summer Spectacular and awarded earlier this year. 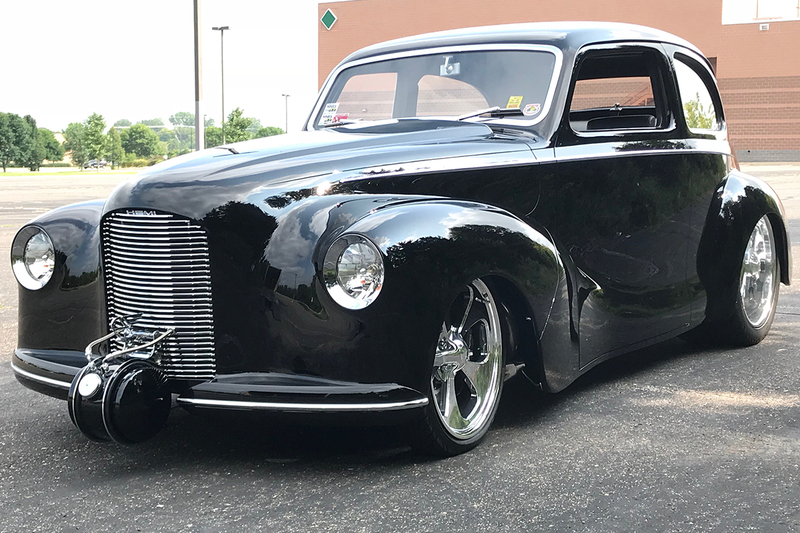 The winning hot rod, painted with Glasurit 55 Line “Deep Black” and finished with Glasurit 923-255 clearcoat, was built by Straight Line Customs in Burnsville, Minn., and Greg Fleury, owner of Fleury Hot Rods. Fleury, a well-known builder also based in Minnesota, led the engineering and fabrication of the build and brought to life what the car owners have dreamt of achieving for over twenty years. BASF’s product portfolio includes products for multiple industries. A product that is compliant for one region, industry, application or end use, may not be compliant for another region, industry, application or end-use, and BASF accordingly disclaims all representations, conditions and warranties of fitness for a particular purpose. To assist automotive refinish customer searching for information about BASF products that meet the VOC limits for automotive refinish use, BASF provides Wall Charts that list the products that are compliant with the automotive refinish VOC regulations in specific regions in North America (country, province, state, air districts). It is the responsibility of the purchaser/end-user to ensure they know and understand the regulations for their specific region, industry, application and end use and ensure that the products that they are using are compliant with all applicable regulatory requirements and any permits specific to their business. To view product information on our entire portfolio, please click to acknowledge your understanding of this information.